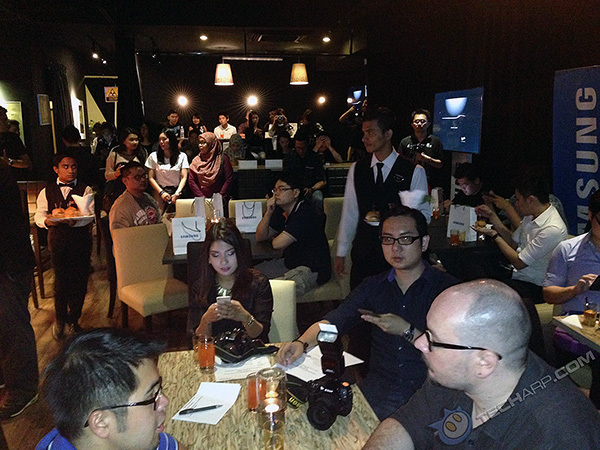 In the wee hours of the morning of the 2nd of March, 2015, Samsung Malaysia invited us to the Samsung Galaxy S6 and Galaxy S6 Edge Unpacked event. Even though it was held at the Theatre Lounge Cafe, Plaza Damas 3 in Sri Hartamas from 12:30 am until 3 am, we arrived to a packed room, and they were expecting even more members of the media to arrive. In all, about 60 members of the mainstream and online media were at hand to join Samsung Malaysia in witnessing the launch of the Samsung Galaxy S6 and the Samsung Galaxy S6 Edge smartphones live streamed from the Mobile World Congress 2015 in Barcelona, Spain. Check out what happened during the launch! Keynote Speech & The Live Stream From Barcelona! Mr. Luke Au, Head of Product Marketing, Mobile Business, Samsung Malaysia Electronics, gave a short keynote speech on the new Samsung Galaxy S6 and Samsung Galaxy S6 Edge smartphones. We then watched the Samsung Galaxy Unpacked 2015 event stream live from Barcelona. With that, the Samsung Galaxy S6 and the Samsung Galaxy S6 Edge are officially launched! 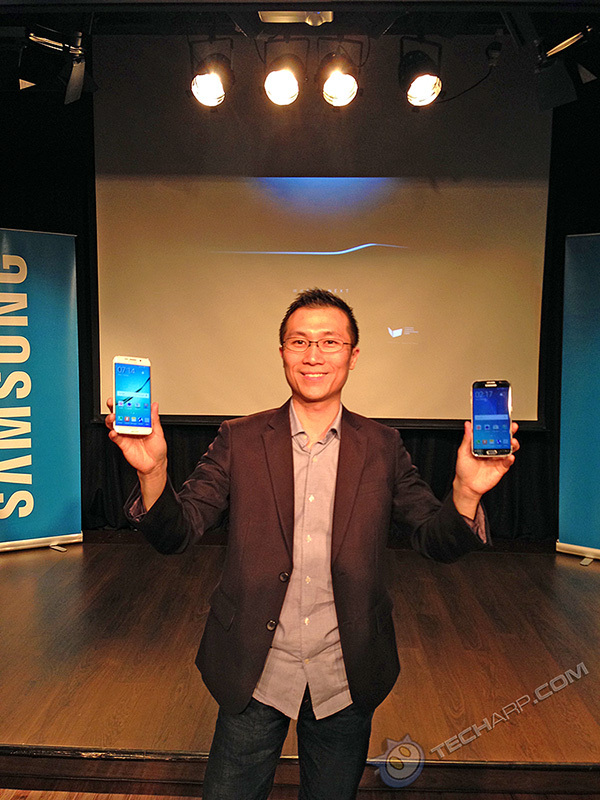 Mr. Luke Au unveiled the new Samsung Galaxy S6 and Galaxy S6 Edge smartphones! Although Samsung Mobile (at that time) refused to divulge the full specifications of the Samsung Galaxy S6 and S6 Edge smartphones, we have their full specifications compared in the last page of this article. However, their MSRP and which will be the first 10 countries to receive the new smartphones are still unknown. Obviously, the United States and South Korea will be the first two. It's the other 8 that have not been revealed. ENGINEERING SAMPLES specially flown in from Samsung HQ in South Korea for us to touch, press, fondle and admire! Let's take a look! • Keynote Speech & The Live Stream From Barcelona! • The Samsung Galaxy S6 Smartphone Revealed! • The Samsung Galaxy S6 Edge Smartphone Revealed!